The 2016 Ninth National Predictive Modeling Summit conference content is now available in a variety of formats. 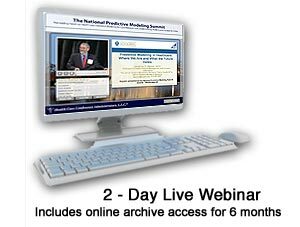 Online Archive of 2016 Ninth National Predictive Modeling Summit Presentations today! Flash Drive of 2016 Ninth National Predictive Modeling Summit Presentations today! 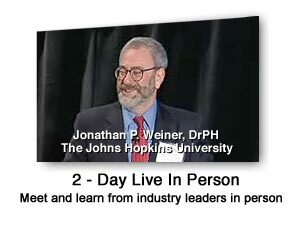 Click here to log into Predictive Modeling video archive. 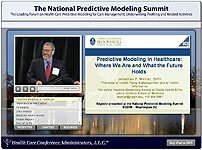 The Predictive Modeling Summit is now offering partial and full Tuition Scholarships to qualifying representatives of local, state and federal government, consumer advocate organizations, safety net providers, academics, students and health services research organizations. Featuring articles, news, key data, technology developments, results from recent studies, interviews, case studies, networking and subscriber interaction, and much more.